The diagram below illustrates the optimum loading configuration for the DobyGrip wire suspension system range when the suspension wire is away from vertical. 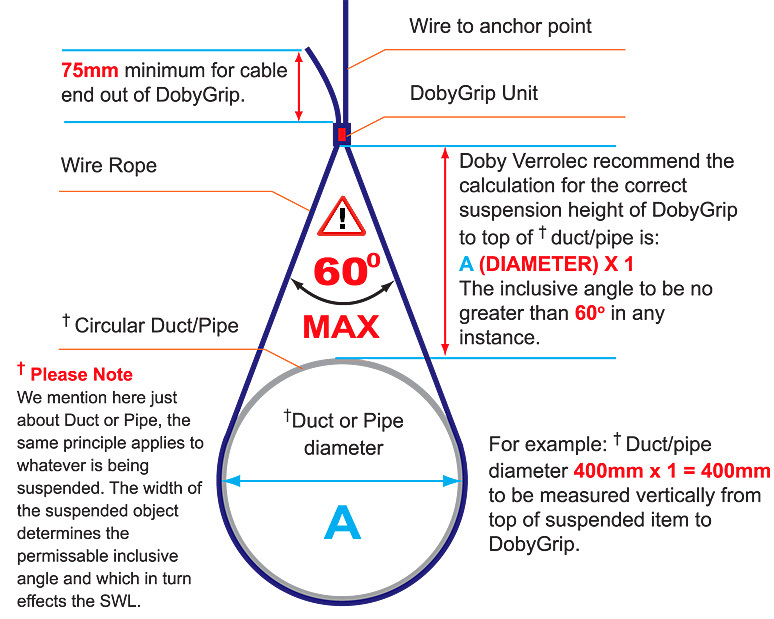 If the duct/pipe is required to be closer to the DobyGrip wire suspension locker unit (as shown on the appropriate page on the website) for height restrictions or services etc, then the Safe Working Load (SWL) table will show the permitted angles and the expected reduction in suspended hanging loads. Alternatively, if in any doubt, please contact your local sales office for more recommendations and advice.